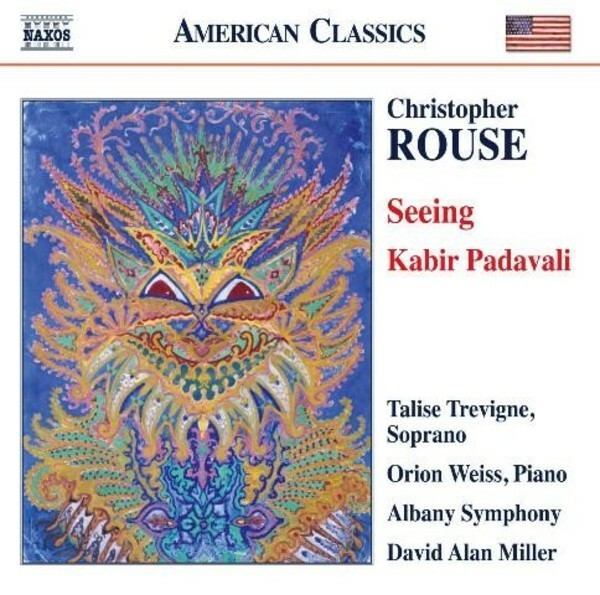 Winner of a Pulitzer Prize and a Grammy Award, Christopher Rouse is one of America’s most prominent composers of orchestral music, creating a body of work perhaps unequalled in its emotional intensity. Conceived from the start as differing from a traditional piano concerto, Seeing brings together seemingly disparate elements to explore the notion of ‘sanity’ through the music of Robert Schumann and Skip Spence, swinging between extremes of consonance and dissonance, stability and instability, to create a disorientating and hallucinatory work seen through the lens of mental illness. Kabir Padavali or ‘Kabir Songbook’ presents a range of the great Indian poet’s religious concerns, from extraordinarily beautiful ecstasy to impishly humorous allegories.